1935- In a special ceremony at Depot the new RCMP Guidon was presented to #O.240 Commissioner Sir James MacBrien by the Earl of Bessborough the Governor General of Canada. Present in the official party were #O.223 Supt Robert Tait, #O.189 Supt Cecil Hill & #8773 Sgt Joseph Leatham. 1973– Commissioners Commendation awarded to #19780 Charles F. Martyn and #28861 E.R. McClare for a drug investigation at Toronto. 1997-The Commissioners Commendation for outstanding service was awarded to #42298 Constable David Hardy of the Jasper Alberta Detachment. When Cst. Hardy entered the detachment cells, he was jumped by a violent prisoner named Dean Welsh who overpowered him and proceeded to beat the constable with his own baton and handcuffs. Welsh then gouged at Hardy’s eyes, and pepper sprayed him, as he attempted to get his gun. Though he was suffering badly from the attack Constable Hardy managed to get hold onto his gun in the struggle and in effort to save his own life he had to fire eight rounds into the man before his attacker was finally killed. 1902– An Order in Council granting compensation of 30 cents per day for life to #3513 Constable Seymour Farquharson because he lost his arm in a shotgun accident at Lake Labarge Yukon. Constable Farquharson served from 1900 to 1902. He collected his pension until he died in 1964. Cst. Willmett had less than a year service when he was assigned to special night patrol in the Town of Frank due to a sharp increase in break and enters. While making his patrol he encountered two German immigrants; Mathias Jasbec and Fritz Eberts behind the Imperial Hotel. Without warning Eberts who had slipped into the shadows shot the plain clothes constable in the neck and face with a blast from his shotgun killing him instantly. After an intensive three-year investigation, Erberts was fingered by his partner and he was subsequently convicted for murder. While in prison Erbert convinced death row inmate Sam Wilinsky to confess to the murder in hopes of being acquitted after Wilinsky was hanged. Fortunately, an alert guard found Erberts notes to Wilinski written on toilet paper thereby foiling his plan. Cst. Willmet originally from Derby England was buried in the MacLeod Cemetery. 1908 – Honour Roll Number 32. #4584 Constable George Ernest Willmett age 23 was murdered by a burglar, while on night patrol, in the town of Frank, Alberta. 1911– #4833 Constable William Wells was awarded $25 from the Fine Fund for his enforcement of the Public Works Act on the construction of the Grand Trunk Pacific Railroad. He served from 1909 to 1920 leaving the Force as a Sergeant. 1911-#4822 Constable Henry Crane was awarded $50 from the Fine Fund for his actions in exhuming a body in ‘K’ Division. (Alberta) Crane served from 1909 to 1938 when he retired a Corporal. 1969– #20673 Corporal G.C. Piper and #23228 Constable J.W. 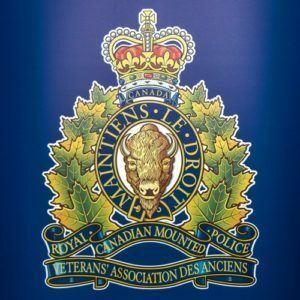 Faux are inducted into the Manitoba “Order of the Buffalo Hunt” for their actions in attempting to rescue a young boy from an ice flow on the Red River near Selkirk Manitoba. 1897- O.96 Inspector Willam Scarth leading the 2nd contingent to Yukon, sailed from Victoria on “SS City of Topeka”. The contingent of men included #990 James Davis, #1959 Henry Donnelly, #1969 David McCulloch, #2256 William Conway, #2279 Peter Sabourin, #2286 James Good, #2299 George Bates, #2333 James Aspinall, #2589 William Saunders, #2793 Henry Dundas, #2839 Frederick Snell, #2914 Edward Smith, #3004 Wm Green, #3016 Cecil Carter, #3027 John Healy, #3035 Wm Jealouse, #3056 Thomas Belcher, #3062 George Broster, #3068 James Stuart and #3118 Garnet Graham. 1963-Parliament passes Food and Drugs Act, getting more control over the sale of drugs. 2003– A deranged man went into the Board of Works complex in Moncton N.B. armed with a loaded 12-gauge shotgun and threatened to shoot two supervisors. While most of the employees fled to safety, James Garrity stayed behind and confronted the gunman in the engine repair shop. As Mr. Garrity attempted to calm the man constables #40921 J.J.F. LeBrun, #46419 Alain Boulianne and #47988 John Bernard arrived and assumed tactical positions nearby. When the gunman was momentarily distracted the trio of officers rushed the suspect and assisted by aided by James Garrity who had grabbed a shotgun, succeeded in subduing him. In recognition of his heroism James Garrity was awarded the Commissioner’s Commendation. 1874– Members of Parliament voted to expel Louis Riel from sitting as a Member of Parliament. 1986– Four Medals of Bravery were earned by Sergeant #21869 William G.C. Andrews, and Constables, #31933 Jan Van Den Born, #33984 Reginald Charles Steward and #37510 Randall William Marquardt. While patrolling the streets of Coquitlam, BC, Cst. Marquardt saw smoke coming from the 9th floor of 12 story high-rise apartment building. He called for backup and notified the fire department before entering the building. He rushed up the stairs to the 12thfloor and began knocking on doors to warn occupants and direct them to the stairwell. As he banged on doors working his way to the lower floors alerting occupants, the dense smoke spread throughout the building. Due to the intense smoke on the 9thfloor he could not enter the and then proceeded to the 8thfloor where he was met by Sgt. Andrews who helped him banging on doors. On the 6th floor, they were joined by Cst. Reg Steward who had obtained a master key, so the trio went back to the 12th floor to ensure all occupants had left the building. Still unable to enter the 9thfloor the men left the building and help Cst. Marquardt, to an ambulance for treatment of smoke inhalation. Cst. Steward and Sgt. Andrews then began assisting in crowd control and then saw seven people still stranded on 9th floor balconies. The pair accompanied by Cst. Jan Van Den Born, re-entered the building, climbed to the 9th and forced their way in the apartment and broke the balcony windows to get to the occupants. The three police officers then guided them to the stairwell and down the stairs where they were treated for smoke inhalation. On September 25th,1987 the four men were presented with Medals of Bravery by the Governor General of Canada. 1993– Commendation awarded to #37057 James Stiles for arresting an armed intoxicated man at Cambridge Bay, Nunavut. 2000– Commendation issued to #31587 Randie Smith for having negotiated the disarming and surrender of violent intoxicated man who had commandeered two separate cars in Kingston, Ontario. 1931 – Constable#10732 Joseph Sixsmith is sent to Big River, Saskatchewan to open a new Detachment. Located north of Prince Albert, Big River was the departure point to the far north, and the graded dirt road leading to it ended fifteen miles south of town thereby leaving the traveler a choice of a number of winding trails leading out of the into the bush. The new detachment office was also the constable’s house, a medium size bungalow with no electricity or water and a wood stove for both heat and cooking. The office phone was listed in the directory as number nine, that being the total number of phones in Big River at the time. In addition to policing the village by himself Constable Sixsmith was also responsible for policing a large rural area covering the Big River Indian Reserve, Shell River, Debden, Stump Lake, Park Valley, and as far north as Dore Lake. Patroling these areas in the 1930’s often meant getting the police car hung up on a stump or stranded in a mud hole. Sixsmith served from 1929 to 1957 and retired as a Staff Sergeant.1942– The Kings Police Medal for gallantry was awarded to #11979 Lionel Fred Muirhead Strong, for his bravery on this day in rescuing a nine-year-old boy from a crumbling cake of ice in the Hillsborough Bay harbour, in PEI. After a report that a young boy was adrift on an ice flow was received, several members of the RCMP and the Charlottetown City Police rushed to the scene, but no boat was available. When the ice flow the child was on broke in two and he fell into the frigid water, Constable Strong stripped off his hat and tunic and wearing his high brown boots and breeches dove into the frigid water and swam two hundred yards to the child’s aid. When he reached the boy, he was clinging to a broken piece of ice with only his head above the surface. Grabbing hold of the child he towed him back to shore. Prior to the implementation of a Canadian bravery awards system in 1972, the King’s Police and Fire medal which was instituted in 1909 was the highest civilian award for bravery for police officers in the British Empire. Constable Strong joined the RCMP in 1933 retired as a Sergeant in1958. 1942– Many fund-raising activities took place across Canada by a variety of organizations during WWII, and the police were no different. Through the efforts of Windsor Ontario policeman James Wilkinson and the Police Association of Ontario $25,000 was collected to purchase a Spitfire MK fighter plane for the Royal Canadian Air Force. On this day in 1942 the first plane named “Canadian Policeman” BL900 was formally presented to the RCAF in North Weald England and assigned to the 403 Squadron. Present at the dedication ceremony were RCMP Provost Corps members #11507 Major George Ball, #12609 Captain James Stewart, #11747 Lieutenant Charles Wilson, #11965 Lieutenant Maurice Byers and #12604 Lieutenant Henry Law. The pilot chosen to fly her into combat was #12568 Pilot Officer Constable Gordon Francis C. “Ben” Hoben, who had served as a Wellington bomber pilot in Italy and Germany. Unfortunately, the spitfire was destroyed on May 4th,1942 during a taxiing accident. The nameplate was transferred to another plane but sadly Hoben was killed and the “Canadian Policeman” was destroyed when on July 11th,1942 Hoben decided to show off in front of his former Bomber Squadron (102) buddies and do some hot-doggingover top of the Topcliffe Aerodrome. After flying between two hangars below the rooftops, Hoben rolled his Spitfire and lost control of the aircraft and crashed. Over the decades a number of stories about the “Canadian Policeman” appeared in a variety of publications (including the RCMP) that told the tale that the Spitfire was badly shot up in combat and that Pilot Officer Hoben heroically managed to land his plane near but died soon after. The propaganda that was created to portray Hoben as a hero was deemed necessary so as to deceive the enemy and the Canadian public because the Air Force still needed recruits. The five-year veteran of the RCMP was buried in England. 1950– The RCMP Schooner “St. Roch” leaves Esquimault Harbour and journeys to Halifax through the Panama Canal. Commanded by Inspector #11814 / O.372 Kenneth William Newman Hall arrives in Halifax on May 29, 1950 becoming the first vessel ever to circumnavigate North America. 1978– Commanding Officers Commendations were awarded to Constables #31682 Dana B. Gibbons and #34152 M.K. Stewart along with civilians Mr. N.G. McPherson and Darren Page for saving the life of a man by rescuing him from burning house at Churchill, Manitoba.